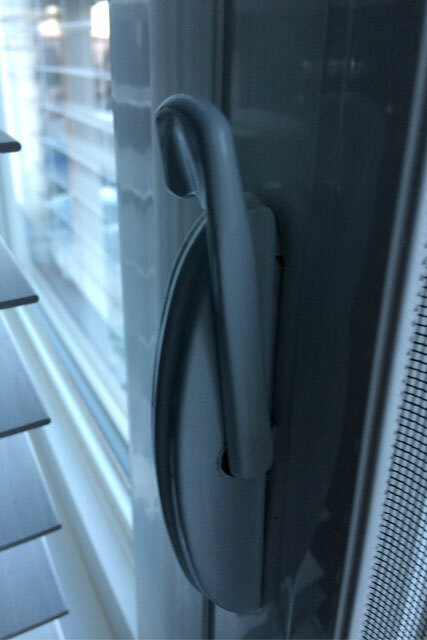 Part of the proper functionality of an operating window is the window lock. When a window is closed, the lock ensures that the window stays in proper alignment, keeping it functioning properly for many years. If the locks are not engaged each time the window is closed, it can affect how it will operate in the years to come. When a window lock breaks, it can be for many reasons. Environment, improper operation, or other failures in hardware. Our 12 point window inspection that comes with every service, will allow us to determine the root cause, and do our best to repair to ensure proper operation of your window for many years. If you need help replacing your window locks, send us a photo of them below along with your contact information, and we will get you an immediate quote. An older style window lock. Our business only specializes in residential window repairs, (we do not do commercial work) it is all that we do, and for that reason, we have developed a proprietary system to be able to give you an INSTANT, FIRM, and completely FREE written estimate to do these repairs for you. Please read all this information carefully, as it contains important information about your hardware replacement/repair quote. Why do we not go to your home to quote for these repairs? Our experience in window repairs allows our technicians to effectively quote the work based on a few pieces of information. 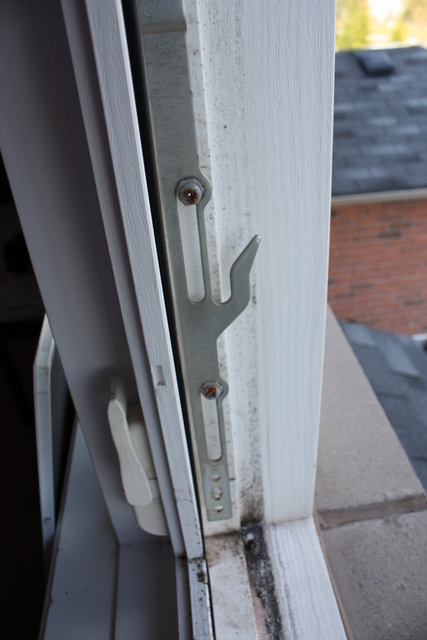 If you advise us of the issues that you are experiencing with your window (crank won’t open or fully close window, window is loose or threatening to fall off, excessive rust on the hardware, etc.) we can then give you an estimate to replace the hardware, make the necessary adjustments, and do our 12 Point Quality Inspection to ensure everything is working optimally. We can typically book the repair for the same or next business day. Our hardware repairs carry a 1 year parts parts and labour warranty unless otherwise stated. We look forward to helping you with these repairs. Getting the job done wherever, however, no matter how big or small. Our Mission is to provide efficient, quality and friendly window repair service to our customers. All window glass replacement carries a 5 year parts warranty when installed in vinyl framed windows.